The new Mazda2 is waiting to be discovered at our Corby showroom where you can find out more about our deals and related finance packages. They cover a number of different model types to give you more choice, but each delivers fixed rental payments and straightforward terms. Just some of the other advantages to selecting one of our offers include low deposits and sizeable deposit contributions. Explore today’s deals online today before making a direct enquiry to schedule a test drive. Contact our Mazda team on 01536 268991 or email richard@rockinghamcars.co.uk to find out more! Retail sales only, subject to availability for vehicles registered between 01.04.19 and 30.06.19 at participating dealers. T&C apply. 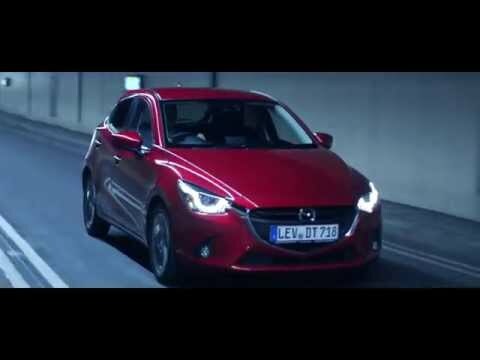 *4.1% APR Mazda Personal Contract Purchase available on all new Mazda models. Finance subject to status, 18s or over. Guarantee may be required. Mazda Financial Services RH1 1SR. Channel Islands excluded. Not available in conjunction with any other offer unless specified. *Vehicles are homologated in accordance with the new type approval procedure WLTP ( Regulation ( EU ) 2017/1151; Regulation ( EC ) 715/2007). To provide comparability the referred values are NEDC – values determined in line with Implementation Regulation ( EU ) 2017/1153.